Dr Adrian Goldsworthy - other work. 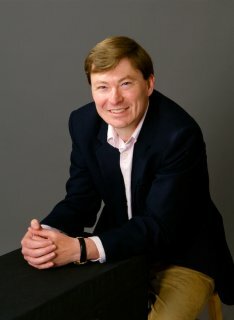 Adrian Goldsworthy has contributed articles and reviews to a range of newspapers and journals including the Independent newspaper and Spectator magazine in Britain, and the Washington Post and LA Times in the US. He has written for and is a contributing editor of Military History Quarterly. 'He contributed a chapter to the Makers of Ancient Strategy published by Princeton University Press and edited by Victor Davis-Hanson'. He also contributed four entries to The Great Commanders published by Quercus and edited by Andrew Roberts. In the past he wrote entries for the Oxford Companion to Military History edited by Richard Holmes and the Hutchinson Dictionary of Ancient and Medieval Warfare. With I. P. Haynes as co-editor, The Roman Army as a Community in Peace and War. Journal of Roman Archaeology Supplementary Series 34 (1999). The Othismos, Myths and Heresies: The nature of hoplite battle", War in History 4. 1 (1997), pp. 1-25. "'Instinctive Genius'. The depiction of Caesar as a general in the Commentarii", in K. Welch & A. Powell (edd. ), Julius Caesar as Artful Reporter. The Commentarii as Political Propaganda, (Swansea, 1998), 193-219. There are also a number of reviews and smaller pieces and a couple of articles under way.